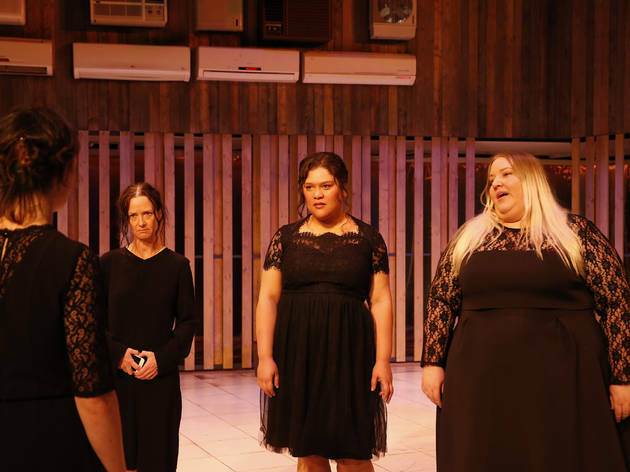 It seems an odd pairing at first glance: Patricia Cornelius, lauded for her uncanny ability to spin a kind of rough poetry from the patois of Melbourne's streets, adapting Spanish playwright Federico García Lorca’s The House of Bernarda Alba. Lorca’s preferred milieu was the bourgeoisie, and his poetry was more metaphysical and symbolist than anything we’ve seen from Cornelius. 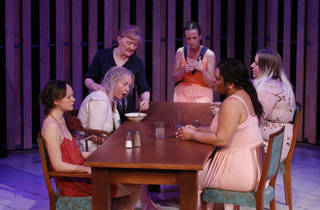 But on further inspection there are some similarities, or at least intersections, between the two playwrights. They’re both concerned with power and victimhood, with social structures and their effects on the individual. They both champion women and women’s voices. It was director Leticia Cáceres’ idea to pair these two titans, and the result is curiously satisfying even if both writers lose something in translation. 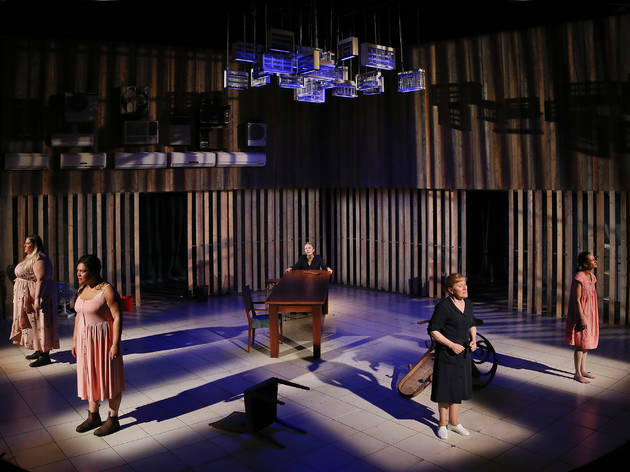 There’s an undeniable potency in the idea of a fierce female playwright turning Lorca’s material into a work for contemporary ears, and Cornelius is characteristically bold even while remaining surprisingly faithful to the original text. 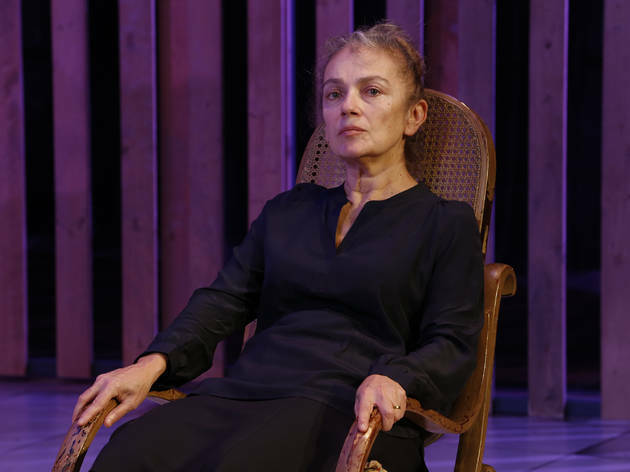 There are great swathes of the play that are translated verbatim, and where she diverts, she does so with total conviction. 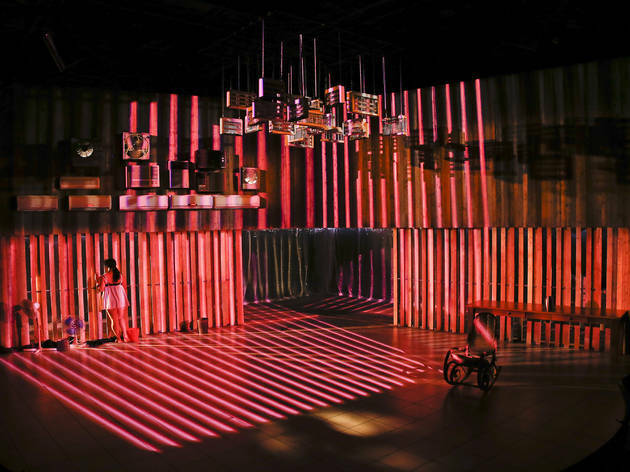 But there’s also a niggling sense of compromise, of a slight disconnect in artistic visions. 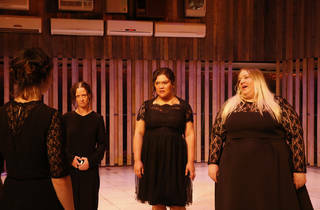 The play concerns itself with the women left behind after the sudden death of a pissant patriarch named Alba: the now twice-widowed Bernadette (Melita Jurisic) and her daughters. 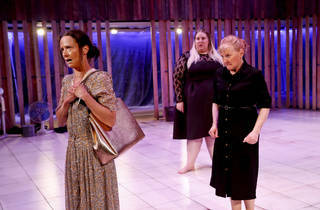 There’s the only daughter of the first husband, Angela (Peta Brady), old and out to pasture until the will is delivered; Magda (Bessie Holland) and Marti (Candy Bowers), both caught in middle-child hell; and Adele (Emily Milledge), the youngest and most dangerous of the lot. 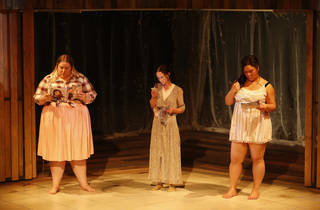 While their mother forces them to remain in mourning at the family homestead – in this iteration clearly in the nowhere land of central Western Australia – the girls plot and pine for escape. 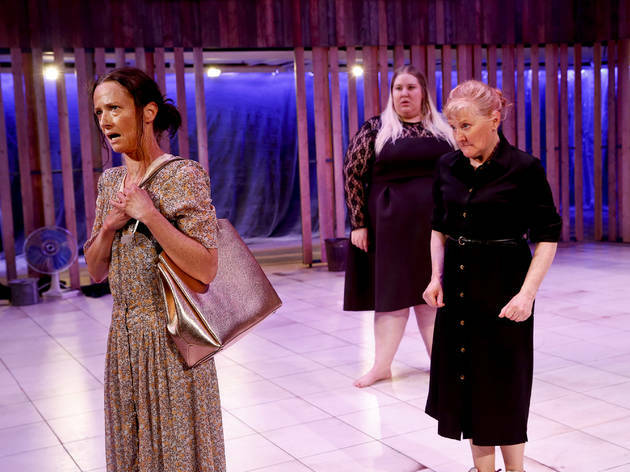 There’s a wonderful diversity of voices crashing against each other in this iteration, even though the playwright has jettisoned several characters. 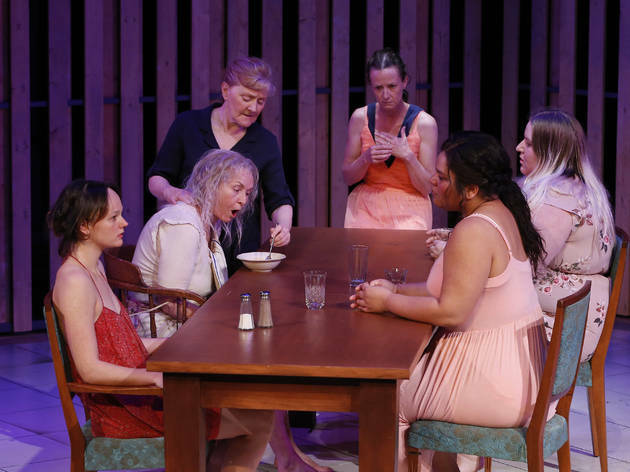 The daughters are clearly demarcated, fleshed out and allowed their own personal arcs, and the inexplicable but somehow inevitable march to tragedy is flecked through with humour. 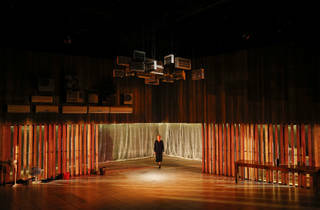 Jurisic is masterful as the impervious engine of the play, charging around the space, seemingly built from the black dust of the mines that eat away at her land. 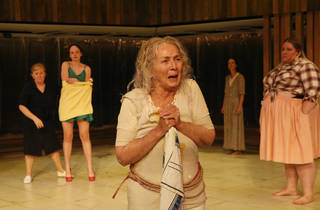 Julie Forsyth is also extraordinary as the slave-like friend of the family, Penelope; her imperceptible shift from comic relief to voice of doom is quietly seismic. The daughters are all richly effective; Brady’s Angela is so fine it feels lived in, and Milledge utterly convinces as the girl with freedom on her mind. Bowers is riotous and shifty as the trustworthy deceiver Marti, and Holland is brilliantly droll as the pathetic but cynical Magda. 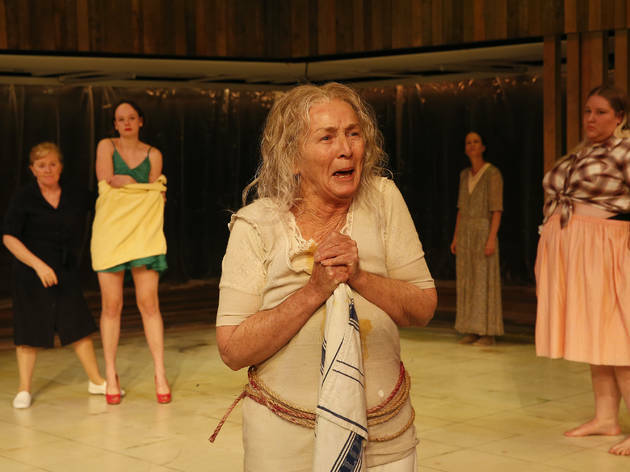 Marg Horwell’s set is wonderful; it has the barn-like crassness of the nouveau riche, but it also feels muddied and worn, with its mozzie zappers and desperate wall of fans trying to keep the outside at bay. 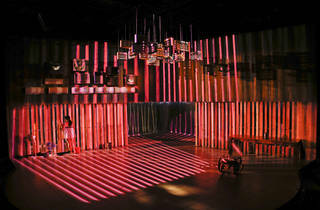 Rachel Burke’s lighting is also brilliant, with its warm browns gradually freezing into blues. Cáceres is constantly pushing her actors to the periphery, as if these people are still trying to dwell in the fringes, and the overall effect is of a people swamped by everything they fail to name. Cornelius has jettisoned Catholicism altogether in this adaptation, and it means we never get a real feeling for Bernadette’s spiritual panic. Here, it’s all about money; money and men. The money is depicted as all-corrupting, a poison that seeps into the hearts of everyone it touches. 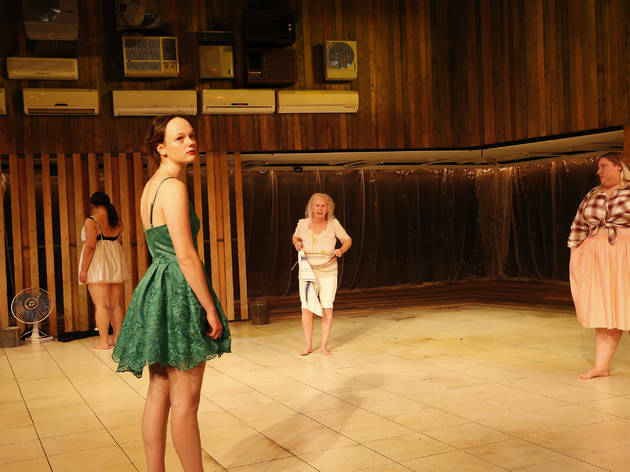 The men, whether living or dead, are offstage but eerily present; their incompetence and their sexual violence haunt the play like malevolent spirits. 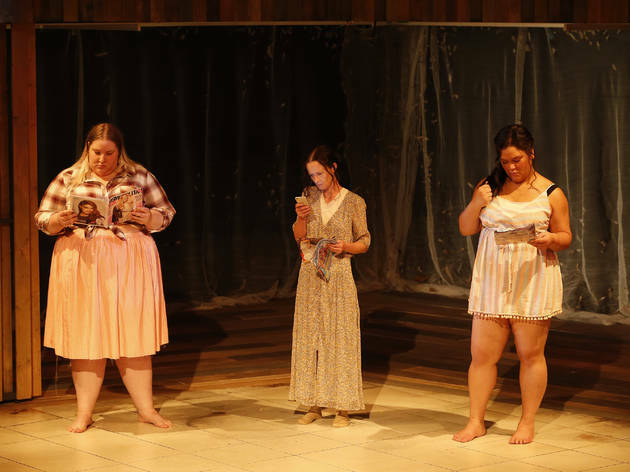 Some of Cornelius’s additions, like Magda’s lesbianism and an Indigenous character called Rosie, initially feel superfluous but then develop a richness that feeds back into the central drama. But some decisions, like the substitution of an axe for a rifle in the play’s climax, make little sense. 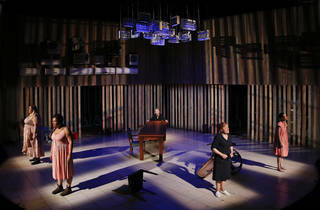 There’s an ambivalence at the heart of this production that makes it more fascinating than entirely successful. Rural Spain in the ’30s, with its feverish ritualism and extreme codifications of behaviour, isn’t a natural fit with the more laconic informality of contemporary Australian expression. Cornelius is most successful when she riffs off the material rather than trying to bend it to her will; her trademark use of swearwords and her choric layering of dialogue are as excellent here as anywhere else in her work. 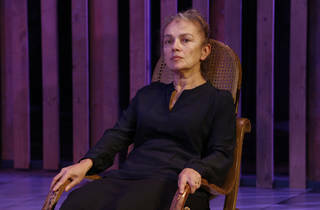 Of course, Lorca is rarely performed on Australian stages, so the spectacle of a master playwright wrestling with the bullish reputation of another master playwright is a thrilling one in any language. 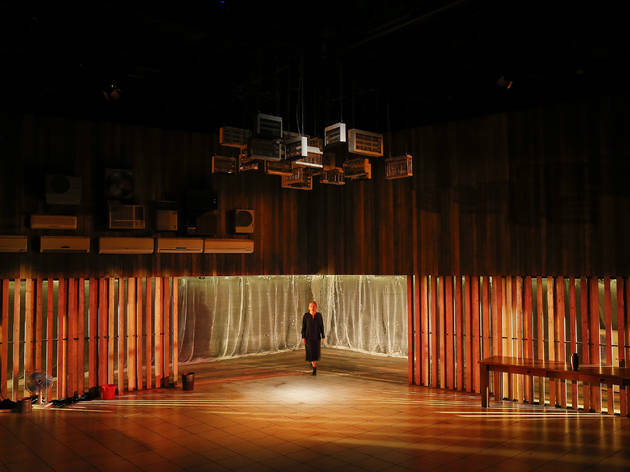 Read our interview with designer Marg Horwell about bringing The House of Bernarda Alba to life on stage.